NDA Foundation is a well-laid program for aspiring students to join Joint Services Academy of the Indian Armed Forces. Being the first gateway for 10+1 and 10+2 students to make a career in The Army /The Air-Force / The Navy, DEFENCE CAREER GROUP provides vigorous professional training to students to hone their intellectual, mental, physical and academic skills. Beyond subjective classroom education; we give you an insight to fundamentals to break through the exam strategically. NDA Foundation Program offers a perfect environment to pass NDA Examination with flying colors. Academia – Coursework of school syllabi is completed in an organized way to clear all basic concepts of students. Mathematics, Physics, Chemistry and English are the four key subjects we focus. At DEFENCE CAREER GROUP, we enable aspirants to comprehend subjective knowledge easily. Competitive – Rendering best resources, DEFENCE CAREER GROUP polishes each student to gain edge in computation. Our comprehensive course covers everything to enhance the aptitude of NDA aspirants to reason and answer quickly. Social Skills – This is also called behavioral training. Communication, problem solving, decision making, time management, self –management, general etiquettes, values, etc. are a few skills that are honed through group activities and situational learning methods. 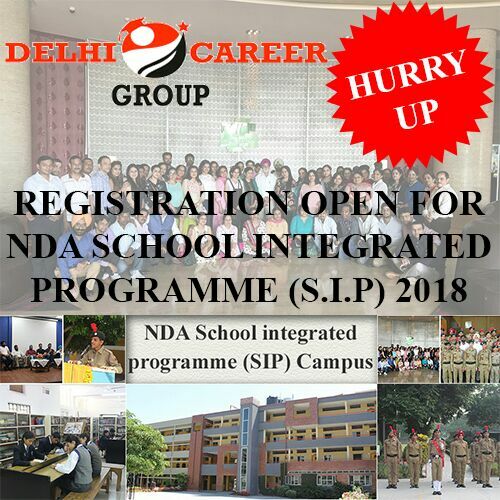 Get more information about our NDA Coaching in Chandigarh provided by Defence Career Group.